I backed the Illest Tarot the very day it popped up on my feed. 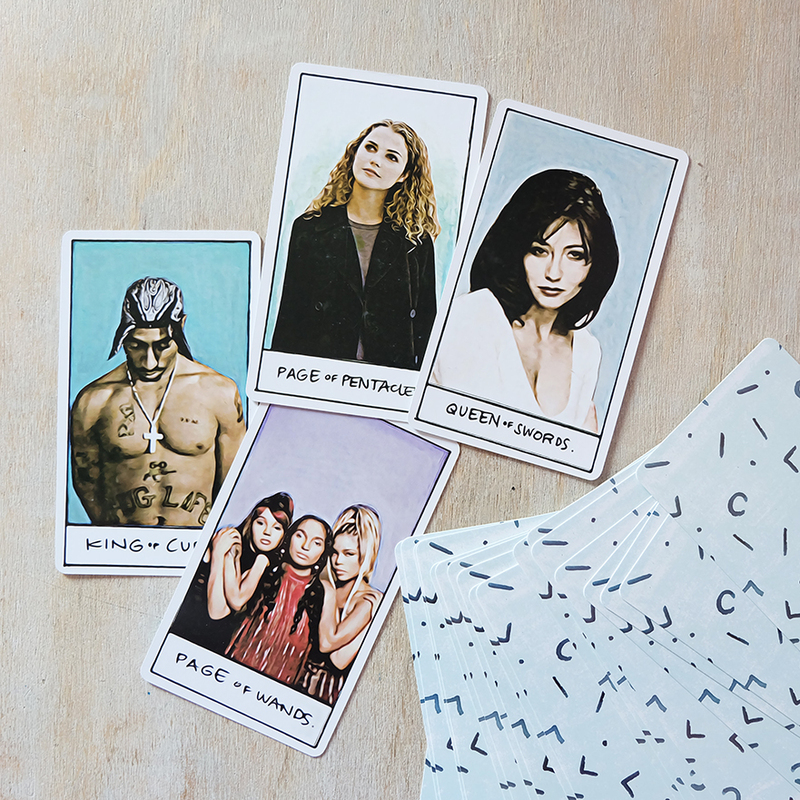 Created by Kristi Prokopiak, creator of the Ritual Oracle (which I don't own but is now on my wish list), the Illest is a 90s-centric pip deck featuring pop culture icons, celebrities and musicians as the Major Arcana and the tarot court. I was a freshman in high school in '93 so I grew up with all these icons. I remember the first Seventeen magazine I bought while on vacation in Orlando—it had Drew Barrymore, over plucked eyebrows and all, on the cover (River Phoenix, the love of my 14-year old life, was also in it). The magazine featured Tori Amos' first tape (TAPE! ), Little Earthquakes, which I promptly bought. It was a year before "Reality Bites" came out, but Winona was already a favorite with "Beetlejuice" and "Mermaids" being some of my faves (I would watch them on Betamax—VHS was still hard to come by those days—over and over again). It was a given. I needed this deck. I had no clue I would use it as much as I listened to Alanis Morissette's Jagged Little Pill when it came out, but I needed it. The deck arrived in the mail just a few days before I was set to leave for my five-week vacation, so I had a couple of days to play with it before leaving. I was tempted to take the deck with me but I decided to stick to the RWS because one, I didn't want to complicate things and two, I didn't want to ruin this super special deck in all its sparkly newness while in transit. I never thought I would ever fall for a pip deck. EVER. But I did. I don't know if my experience would have been different if I got this deck at the beginning of my tarot studies and had to rely on a non-scenic minor arcana to figure things out. That said, the Illest does come with an online tarot guide that explains things very thoroughly. The meanings stay true to the Rider Waite Smith, so if you've got a good handle on that, then figuring out what all these swords and wands and whatnots mean doesn't have to be a struggle. I know the basics of numerology, but honestly, still defer to RWS meanings as opposed to numbers. The suits are all represented by a specific color palette. I like how the wands are painted against a lavender background instead of your typical fiery reds or oranges. I love the liquid quality of the illustrations as well. Paired with the people who populate the Major Arcana and the tarot court, these minor cards make for very subtle, complementary cards. The stars of the deck are the people, however. If you grew up with all these people, then it's easy to pick up on the meanings and associations of the Major Arcana. Is anyone more sunshine-y than Drew? And I think everyone who's seen "The Craft" can attest to Fairuza Balk's Tower quality. Props, too, for including Ricky from MSCL. LOVE. 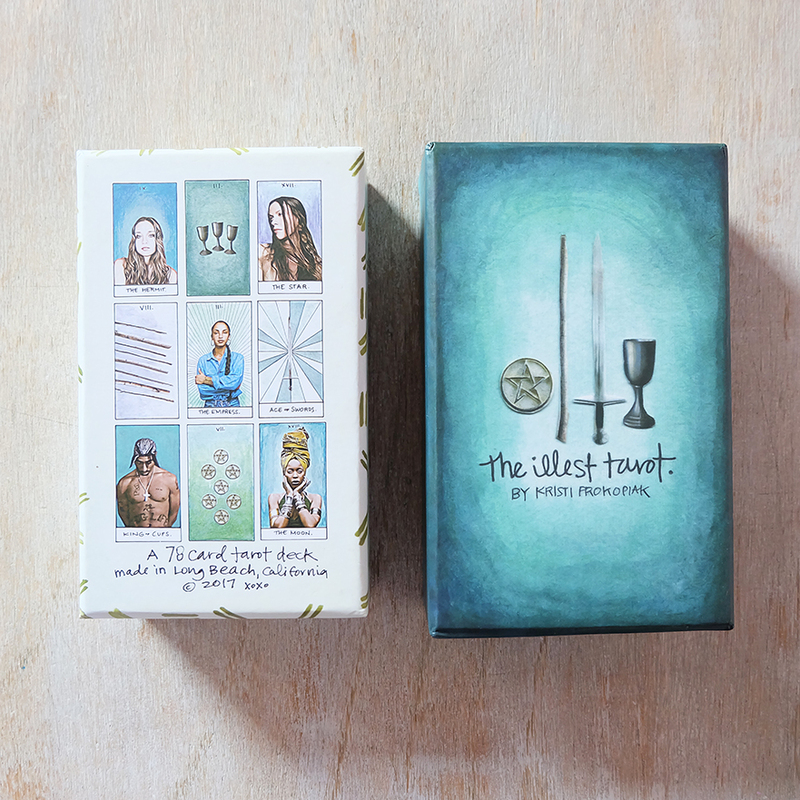 The courts are some of the most challenging tarot cards to learn and putting in people we know makes it a lot easier to figure out who's who among the pages, knights, queens and kings. On my first flip through of this deck, Felicity Porter came up and I literally had to take a minute to gawk at my new deck. I felt all those Felicity feelings in college (all of them). And I've written about this over on Instagram but bar none, my favorite card is the Knight of Cups with Winona Ryder. I absolutely wanted to be Winona when I was in high school and I *love* the Knight of Cups. I GET IT.